by Marie S. Molloy (USC Press, 2018). Marie Molloy's Single, White, Slaveholding Women in the Nineteenth-Century American South "investigates the lives of unmarried white women―from the pre- to the post-Civil War South―within a society that placed high value on women's marriage and motherhood." The book examines "singleness" broadly, to include "non-marriage, widowhood, separation, and divorce." "These single women were not subject to the laws and customs of coverture, in which females were covered or subject to the governance of fathers, brothers, and husbands, and therefore lived with greater autonomy than married women." The Civil War transformed society in countless ways, and Molloy's study suggests that the conflict was a major factor in "accelerating personal, social, economic, and legal changes for these women." Inexorably, the "autonomy and independence" inherent in being single women "expanded and reshaped traditional ideals of southern womanhood." More: "Molloy delves into these themes and their effects through the lens of the various facets of the female life: femininity, family, work, friendship, law, and property. By examining letters and diaries of more than three hundred white, native-born, southern women, Molloy creates a broad and eloquent study on the relatively overlooked population of single women in both the urban and plantation slaveholding South. 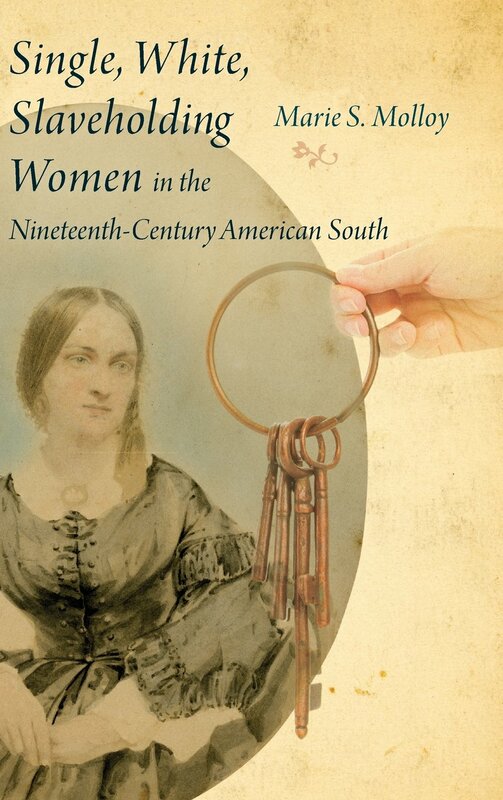 She concludes that these women were, in various ways, pioneers and participants of a slow, but definite process of change in the antebellum era." Review - "On Duty in the Pacific Northwest during the Civil War: Correspondence and Reminiscences of the First Oregon Cavalry Regiment" by James Jewell, ed. In January 1861, the prewar Oregon and California military departments were merged to form the U.S. Army's Department of the Pacific. The new administrative entity was a vast geographical expanse with initial boundaries encompassing, in part or in full, the modern states of Washington, Oregon, Idaho, California, Nevada, and Arizona. Though critical to the future plans of the country and prominent source of sectional antagonism, the Far West and its fast-growing population, burgeoning economic stature, and military contributions have until recently been largely neglected topics in the Civil War literature. 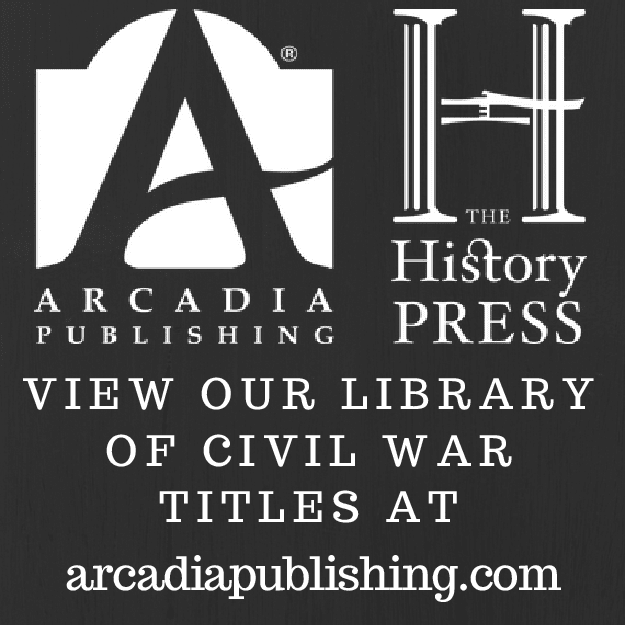 In recent years, however, there has been a noticeable uptick in scholarly interest in the region's Civil War era history, with diverse studies and essay collections from authors and editors Andrew Masich, Glenna Matthews, Virginia Scharff, Tom Prezelski, Adam Arenson, Andrew Graybill, Richard Etulein, and others. On a related front, traditional resistance among scholars toward drawing significant connections between the distant Civil War and the many concurrent Indian conflicts of the frontier West has also lessened somewhat over this same period. In terms of published books, Aurora Hunt's now quite dated The Army of the Pacific: Its Operations in California, Texas, Arizona, New Mexico, Utah, Nevada, Oregon, Washington, Plains Region, Mexico, etc., 1860-1866 (1951) remains perhaps the closest representation of a widely available Pacific Department history. A much greater influence upon modern scholars of the Civil War in the Far West has been Glenn Thomas Edwards's pioneering unpublished 1963 dissertation "The Department of the Pacific in the Civil War." Edwards's earlier University of Oregon Master's thesis "Oregon Regiments in the Civil War Years: Duty on the Indian Frontier" (1960) was similarly pathbreaking. One can certainly see parallel interests in the current scholarship of historian James Jewell, whose own doctoral work* addressed the Department of the Pacific. A further outgrowth from Edwards, Jewell's newly released On Duty in the Pacific Northwest during the Civil War: Correspondence and Reminiscences of the First Oregon Cavalry Regiment is the only press published book of any kind that explores the soldiers, field service, and legacy of that regionally indispensable unit of volunteers. With the departure en masse of frontier Regular Army officers and men to points east in 1861, state and territorial governments under the umbrella of the Pacific Department were largely left to their own devices when it came to self defense. To fill the vacuum, the states of California and Oregon and the territories of Washington and Nevada (the last achieving statehood in 1864) committed themselves to raising volunteer regiments. Generally speaking, the response from citizens and authorities was strong, if a bit slower in places where threats seemed most distant. California alone raised well over 15,000 troops for service throughout the West and more sparsely populated Oregon, Washington, and Nevada also contributed units of their own. Oregon's non-native population was concentrated in the Willamette Valley, where the absence of real local threats (Confederate, Indian, or otherwise) combined with, in Jewell's opinion, the foot dragging of the state's Democratic governor made recruitment a lengthy process. Nevertheless, by mid-1862 six mounted companies were organized for three-year service and attached to the First Oregon, with others to follow down the line. Bands of Western Shoshoni, Northern Paiute, and Bannock (the last linguistically linked to the Northern Paiutes but more geographically and culturally associated with the Shoshoni) had been raiding emigrant trails, ranches, and mining camps beyond the Oregon Cascades and into Idaho throughout the 1850s, and it was these so-called "Snake Indian" enemies (a collective term for the tribal groups living in the Snake River Valley and surrounding areas) that comprised the First Oregon Cavalry's primary military target during the Civil War years. As was the case throughout the western states and territories, there were always rumors of pro-Confederate plots and potential uprisings in Oregon, but none of those threats proved credible. The primary hope of many Oregon enlistees was to fight Confederates, but most accepted that their lot would be the remain in the region and assume the military roles previously performed by the frontier Regulars. Most of the Oregon troopers were shipped to Fort Dalles (OR), Fort Klamath (OR), and Fort Walla Walla (WA) in 1862-63, where they would use those posts as bases of operation for Indian expeditions into the rugged river basins of eastern Oregon and across the border into Idaho. As stated above, no full-length regimental history of the First Oregon Volunteer Cavalry has ever been published and On Duty does not aspire to fill that particular gap, but Jewell's highly informative general introduction (which delves significantly into unit organization, enlistment motivation factors, and select soldier backgrounds) and his incorporation throughout the volume of detailed operational summaries in support of the featured source correspondence mark the book as perhaps the next best thing. Most of the Oregon troopers did not reenlist in 1864, and Jewell also describes the efforts of the remaining few (with the help of the newly raised First Oregon Infantry) to cope with an expanding Snake War. Jewell's supporting text even extends far into the postwar period, where he recounts the impact of First Oregon Cavalry veterans on the region's political and economic development. As a limited unit study of a unique and little-known Civil War regiment, there is much to admire here. Jewell's expansive introduction, excellent series of contextual mini-narratives, and full transcriptions of the newspaper correspondence of First Oregon soldiers (who wrote anonymously to a number of regionally prominent news outlets, including the Walla Walla Statesman, Jacksonville Oregon Sentinel, Portland Oregonian, and Salem Oregon Statesman) fill roughly the first half of the volume. For their greater historiographical value, the letter compilation will likely be of most interest to scholars and more general readers alike. Posterity is certainly fortunate in that all of the soldier-correspondents wrote vivid prose and were keen observers of both military operations and the natural world they encountered along the way. 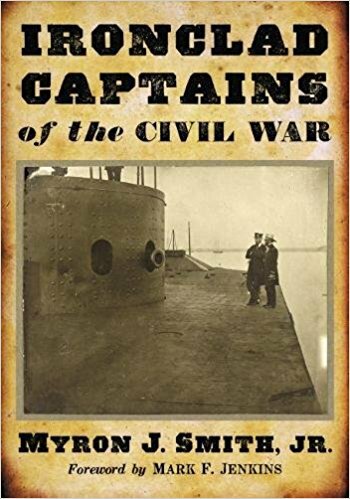 The second half of the book is a collection of nine reminiscences, either full or fragmentary, written by ten First Oregon officers and enlisted men (one account is co-authored), all of whom were Midwestern emigrants to Oregon. Revisiting at length many of the events written about in the newspaper articles, they also offer (though colored by the passage of time) additional insights not previously addressed in the correspondence. After a largely passive 1862, the six First Oregon companies would disperse in 1863 and attempt to coordinate a series of converging operations against the Snakes. But first the government tasked them with reestablishing official contact with the powerful Nez Perces and maintain friendly relations. That particular goal was achieved, but field operations against the Snakes using traditional enemies as scouts and guides still yielded little in the way of military success. In the end, as was the case in so many other frontier campaigns fought by U.S. forces against mobile Indian foes operating within their native lands, the Oregon troopers ended up riding vast distances for little gain. Frustrated with the general failure to find let alone defeat the elusive Snakes, an even larger First Oregon campaign was planned for 1864. As before, that year's mixture of independent and combined operations met with no great success in engaging the enemy. A small clash on May 18 was notable for resulting in the death of Lt. Stephen Watson, the only officer the regiment would lose to enemy action during the Civil War years. As author Gregory Michno showed in his 2007 book The Deadliest Indian War in the West: The Snake Conflict, 1864-1868, the Snake War would go on to have a human cost far exceeding the tiny space it holds in the national consciousness. The letters and reminiscences collected and edited in this volume are invaluable resources for those wishing to research and study the early stages of that underappreciated conflict. Oregon volunteers also had a very prominent non-military role to fulfill during the war. Many Civil War soldiers never saw their service as putting aside their rights and concerns as private citizens. In this way, Oregon troopers viewed wartime exploration of the countryside for potential resource development as going hand in hand with their military duties. Readers appreciated their keenly observed and highly detailed descriptions and assessments of the region's climate, flora, fauna, soil compositions, geology, and water resources. The First Oregon's mounted expeditions could last months and cover a thousand miles or more, and there is such an intense focus on the environment in their newspaper reports that Jewell is almost undoubtedly correct in his interpretation that the soldier-correspondents as a whole felt themselves obliged to inform the reading public about future development opportunities in those newly explored areas. 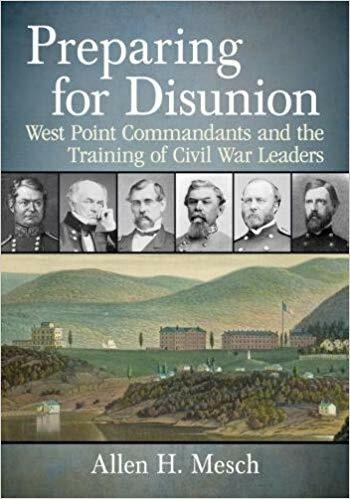 While one might reasonably suppose the Civil War to have briefly postponed western consolidation and expansion, the book also makes clear that those processes were not slowed much by the conflict, if at all. Complaints are very minor. There are a few too many typos in the book to escape notice. Also, the cartography, which consists primarily of sparsely featured area maps, is less helpful than it could have been. Maps tracing the pathways taken by the many eastern Oregon military expeditions recounted in the text (with notable dates and applicable skirmish locations labeled) would have significantly enhanced reader understanding of those events. The first venture into the Far West by University of Tennessee Press's venerable Voices of the Civil War series, On Duty in the Pacific Northwest during the Civil War is a unique contribution on a number of grounds. Together with James Jewell's expert editing, annotation, and historical commentary, the volume's extensive compilation of First Oregon letters and memoirs offers readers the best single resource available for learning about the First Oregon Cavalry Regiment. Like other frontier studies before it, particularly those examining the role of Union veterans in the evolution of the Desert Southwest, the book also very appropriately sees Oregon's Civil War volunteers as key forces in the drive to expand U.S. government control over the lands of the Pacific Northwest and further the development the region's abundant natural resources. Highly recommended. * - Jewell, James Robbins. "Left Arm of the Republic: The Department of the Pacific During the Civil War." Ph.D. diss., West Virginia Univ., 2006. It is currently under development for publication. by Darrell L. Collins (McFarland, 2019). 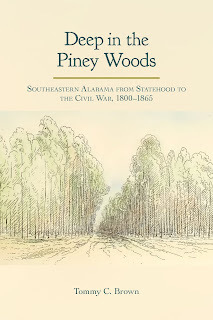 From the description: "Comprehensively researched from the 128 volumes of the reference work commonly referred to as the Official Records, this book delves deeply into the structural and statistical history of the Union army that served primarily in Tennessee, Georgia and the Carolinas during the American Civil War. Extensive details are provided regarding the army's evolving organization, its constantly fluctuating strength, and the sacrifices made during its many campaigns and battles." 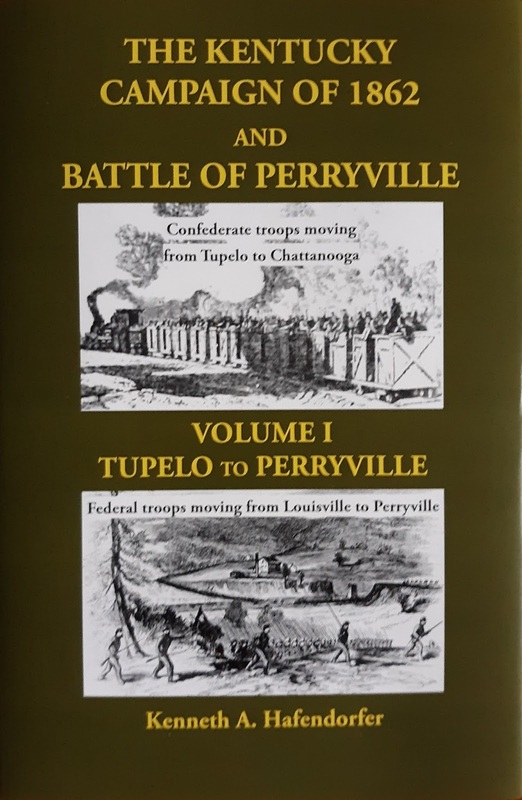 With The Army of the Potomac (2013), The Army of Northern Virginia (2015), and The Army of Tennessee (2017) already under his belt, this is the now the fourth volume from the author's order of battle series addressing the principal armies of both sides. Between the first and second volumes there was a significant format change and this one carries on with the more recent version's focus triad on (1) organization tables and (2) strength returns on particular dates and (3) casualties suffered during the major campaigns and battles. 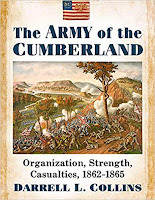 The Army of the Cumberland's progenitor, the Department/Army of the Ohio, is also addressed in the volume. 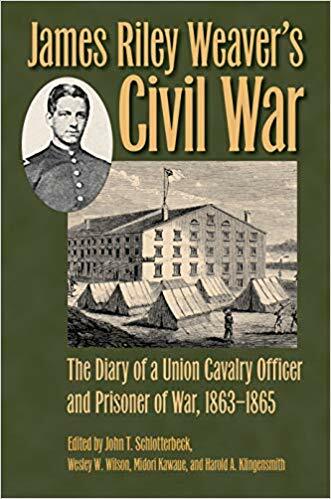 • James Riley Weaver’s Civil War: The Diary of a Union Cavalry Officer and Prisoner of War, 1863–1865 edited by John T. Schlotterbeck, Wesley W. Wilson, Midori Kawaue and Harold A. Klingensmith (Kent St Univ Press, 2019). As its title so clearly states, James Riley Weaver’s Civil War: The Diary of a Union Cavalry Officer and Prisoner of War, 1863–1865 is an edited volume of the field service and prisoner of war diaries (the latter much more extensive) of Union cavalry officer James Riley Weaver. In October 1862 at the age of 23, Weaver enlisted in the 18th Pennsylvania Cavalry. The early months of his service were spent patrolling the northern Virginia countryside. In June 1863 (not 1862 as his photo caption incorrectly states), Weaver was promoted to second lieutenant. His regiment participated in the Gettysburg Campaign and in the ensuing autumn's army operations in Virginia, where he was captured during a rear guard action on October 11. After a brief biographical prologue, the first two chapters of the book address Weaver's service diary while the next seven consist of his edited POW diaries from prisons in Virginia, Georgia, and South Carolina as well as his return to freedom. Paroled only in late February 1865 when the Confederacy was crumbling wholesale, Weaver was a prisoner for a very long time and one would imagine his writings comprise a valuable resource for researchers of southern prisons and the experiences of those held captive there. With 666 consecutive days of written entries, Weaver was a remarkably dedicated diarist under what must often have been very trying circumstances. According to the editors, "Weaver’s observations never veer into romanticized descriptions; instead, he describes the “little world” inside each prison and outdoor camp, describing men drawn from “every class of society, high and low, rich and poor, from every country and clime.” In addition, Weaver records details about life in the Confederacy that he gleans from visitors, guards, new arrivals, recaptured escapees, Southern newspapers, and even glimpses through windows." In addition to compiling, annotating, and indexing the Weaver material, the editorial team contributes to the volume substantial background and contextual narrative. A number of photographs and other illustrations are also included. More from the description: "As the editors demonstrate, Weaver’s diary-keeping provided an outlet for expressing suppressed emotions, ruminating on a seemingly endless confinement that tested his patriotism, religious faith, and will to survive. In the process, he provides not only historically important information but also keen insights into the human condition under adversity." Among Kent State's current catalog of upcoming Civil War titles, the one I find perhaps most intriguing is Thomas Flagel's War, Memory, and the 1913 Gettysburg Reunion (May 2019). The author is undoubtedly correct that the 50th anniversary event is viewed by the general interest public as one primarily attended by battle veterans in the spirit of comradeship and reconciliation. That is at least the common shorthand interpretation espoused by the countless television documentaries that have used reunion footage and photographs from both the 1913 and 1938 events. Even after the passage of five decades, quite a few veterans remained in good enough health to travel and had the means to attend. The accommodations were not luxurious by any standard. From the description: "This June 29–July 4 reunion drew over 55,000 official attendees plus thousands more who descended upon a town of 4,000 during the scorching summer of 1913, with the promise of little more than a cot and two blankets, military fare, and the presence of countless adversaries from a horrific war. Most were revisiting a time and place in their personal history that involved acute physical and emotional trauma." Due caution should always be exercised before trying to ascribe any kind of consensus attitude to such a diverse collection of veterans north and south, but the book apparently does quite strongly argue that "veterans were not motivated to attend by a desire for reconciliation, nor did the Great Reunion produce a general sense of a reunified country." According to Flagel, "(t)he reconciliation premise, advanced by several major speeches at the anniversary, lived in rhetoric more than fact. Recent scholarship effectively dismantles this “Reconciliation of 1913” mythos, finding instead that sectionalism and lingering hostilities largely prevailed among veterans and civilians." The book "examines how individual veterans viewed the reunion, what motivated them to attend, how they acted and reacted once they arrived, and whether these survivors found what they were personally seeking. While politicians and the press characterized the veterans as relics of a national crusade, Flagel focuses on four men who come to the reunion for different and very individual reasons." Sounds interesting. 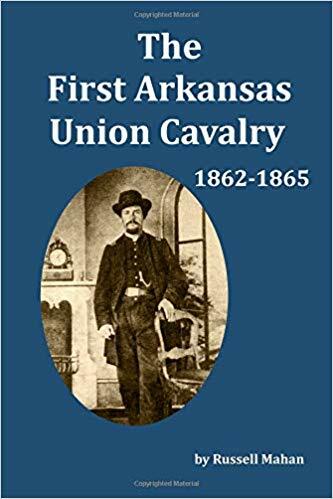 This recent release is an edited collection of the titular newspaper reporter's extensive early-war writings from Missouri and NW Arkansas, where he frequently accompanied Union forces on campaign. The period covered is roughly from the beginning of General Lyon's summer 1861 campaign in Missouri through the March 1862 Battle of Pea Ridge. In addition to compiling, annotating, and indexing the Knox material, editor Robert Schultz incorporates into the article collection his own introductory and bridging narrative. Maps, photos, and period artwork are sprinkled throughout, and the appendix section contains a number of supporting documents. It is difficult to exaggerate the degree of danger that the Union Army of the Cumberland and its commanding general William S. Rosecrans found themselves in on the morning of September 18, 1863. However, while the overall threat had certainly not passed, only twenty-four hours later the Union military situation in North Georgia had been altered so dramatically over that brief period that even outright victory could be at least contemplated again. Though the September 20 deus ex machina that resulted in a sweeping Confederate victory at Chickamauga understandably clouded what came before it, the Union cavalry's accomplishments on the 18th against heavy odds remain impressive by any measure. Ironically, a major reason why the events of that day have remained obscure and underappreciated for so long is that the Union cavalry forces—the "Saber Brigade" of Colonel Robert H.G. Minty and Colonel John T. Wilder's "Lightning Brigade" of mounted infantry—did their job far too well. In addition to upsetting Confederate Army of Tennessee commander Braxton Bragg's excellent plan of battle, the skillfully conducted delaying actions and subsequent defensive stands of Minty and Wilder at the Reed and Alexander bridges impeded contact between the main bodies of the opposing armies for so long (essentially for an entire day) that for nearly 150 years the events of the 18th were not even considered an elemental part of the main Chickamauga battle. 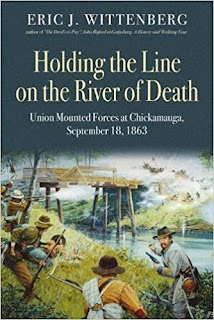 A profound reassessment of this historiographical misstep, Eric Wittenberg's Holding the Line on the River of Death: Union Mounted Forces at Chickamauga, September 18, 1863 fully recounts the day's events and persuasively argues that Minty and Wilder were key figures in shaping the course of the battle. The early stages of the book satisfactorily address the several weeks of intense maneuvering and skirmishing that led both armies to Chickamauga Creek. In addition to providing readers with a clear sense of the relative positions of both sides on the eve of battle, these chapters also contain extended biographical sketches of the two towering figures of the narrative, Minty and Wilder. The organizational makeup and historical background of Minty's "Saber Brigade" and Wilder's "Lightning Brigade" are thoroughly outlined as well, with important emphasis placed on the force-multiplying nature of their breechloading shoulder arms (a heavy proportion of which were Spencer and Colt repeating rifles). Wittenberg provides ample evidence in the book to support his contention that the coordinated actions of Minty and Wilder's brigades on September 18 together represent a textbook cavalry delaying action. At the beginning, the author informatively describes the pattern of expertly-placed outposts and picket lines established by both officers beyond the Union army's far left (or northern) flank, a position held by General Thomas Crittenden's infantry corps. His narrative then goes on to recount at some length the many clashes that occurred east of Chickamauga Creek between detachments of blue troopers and heavy columns of advancing Confederate infantry and cavalry. These events took place at a number of road intersections and narrow defiles through north-south running ridges. After delaying the enemy for hours, the overmatched Union cavalry fell back to strong positions behind the creek's west bank, and the heavy fighting that occurred at Reed's Bridge (Minty) and Alexander's Bridge (Wilder) is fully explored in the book. The text descriptions of all of these movements and combat actions are well supported by a series of detailed original maps drawn by Mark Moore. The author primarily ascribes federal success in completely disrupting Bragg's original timetable to the tactical leadership and role understanding of Minty and Wilder, who wielded their experienced and superbly-armed commands with exceptional skill. However, Wittenberg also concedes that Confederate mistakes materially aided Union efforts and favorable terrain continually channeled advancing enemy forces through narrow bottlenecks that allowed the vastly outnumbered federals to use their qualitatively superior arms and artillery to greatest effect. Of course, even the best defensive topography is useless on its own, and both Wilder and Minty exploited the available ground to maximum advantage. The great value of close cooperation in desperate situations is also well demonstrated in the book, with multiple examples presented of Minty and Wilder generously sharing troops even when both commands were stretched to the breaking point. They also kept their superiors continually updated with accurate intelligence, and it is certainly not to either man's discredit that their information was blindly ignored (particularly by Crittenden) for way too long. 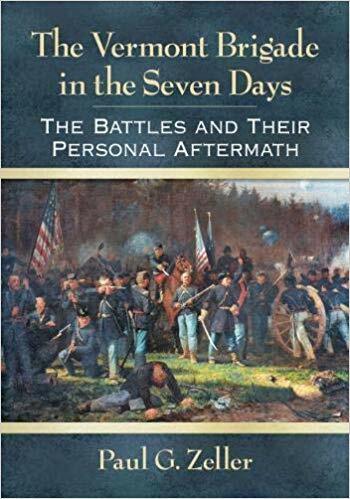 The book also goes on to show that the brigades rendered further important service on that day in keeping the Confederates off balance and at arm's length during the dusk and early nighttime periods before finally being relieved overnight by infantry. Overall, Wittenberg builds a rather irrefutable case that Minty and Wilder were primarily responsible for saving Rosecrans's army from being placed in a position from which disaster was highly possible and orderly extrication difficult to foresee. While it might seem inevitable that the Army of Tennessee's high command, given its prior record in the field, would have found some way or another to screw up even the best of advantages, the fact does remain that Bragg still swept the field at Chickamauga after the Union cavalry completely upset his most promising plan of attack. Even so, a close reading of Wittenberg's study certainly does reveal that the skillful actions of the two Union cavalry brigades profoundly reduced Confederate chances for achieving truly decisive results and significantly enhanced the likelihood that any southern battlefield victory gained through Bragg's subsequent improvisations would come at a Pyrrhic cost. Presentation is superb all around, and, as expected, maps and photographs abound. Also attached is a fairly extensive 40-mile driving tour of important sites mentioned in the book. The appendix section includes discrete orders of battle for the Minty and Wilder engagements along with an old Q&A formatted discussion of vidette and outpost duties and responsibilities reproduced from a classic French cavalry treatise. There's really not much to criticize. In some of the full-page maps details might be rendered too small for some visual tastes, but it seems an acceptable compromise between depicting intimate small-unit actions while at the same time providing enough spatial context to appreciate their significance and connections to other happenings on the field. On the word usage front, even after a centuries-long presence of blended ethnicities in the British Isles and Ireland, with one parent born in Scotland and the other in Ireland one wonders whether County Mayo native Minty would ever have referred to himself as an "Englishman" as Wittenberg does throughout the book. Now having authored Gettysburg* and Chickamauga companion studies, Wittenberg has firmly documented his earnest belief that the mounted operations that opened both battles represent two of the war's finest examples of a cavalry versus infantry delaying action. As the more eastern theater focused Wittenberg admits, one might even regard Minty and Wilder's feats of arms on September 18 as more impressive than Buford's far better known and much more widely celebrated July 1 cavalry fight. 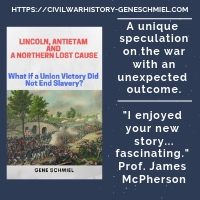 The author also joins noted Chickamauga luminaries like David Powell and William Glenn Robertson in presenting an unassailable argument that the battle should be, like Gettysburg, considered a three-day affair. A product of sound research and finely-tuned reasoning and analysis, Holding the Line on the River of Death is a superbly constructed Civil War cavalry study that is richly deserving of top-shelf placement within the modern literature's rapidly expanding Chickamauga Campaign library. * - See the author's "The Devil's to Pay": John Buford at Gettysburg - A History and Walking Tour (2014). 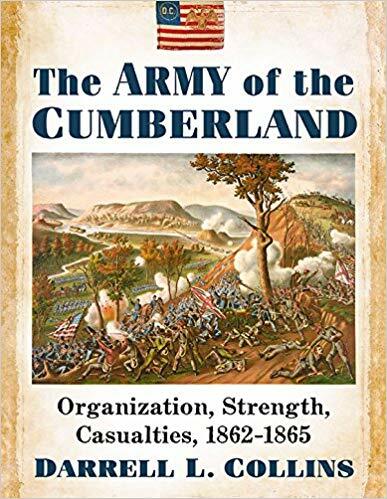 Accompanying the Vermont Brigade book discussed here yesterday was another Union unit history, this one a study of a Michigan regiment that fought out west with the Army of the Cumberland. 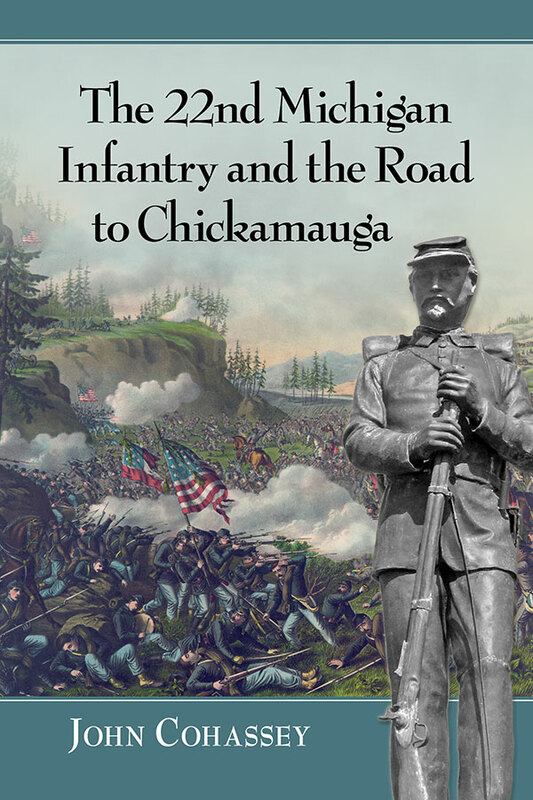 John Cohassey's The 22nd Michigan Infantry and the Road to Chickamauga "explores the 22nd's day-to-day experiences in Kentucky, Tennessee and Georgia. 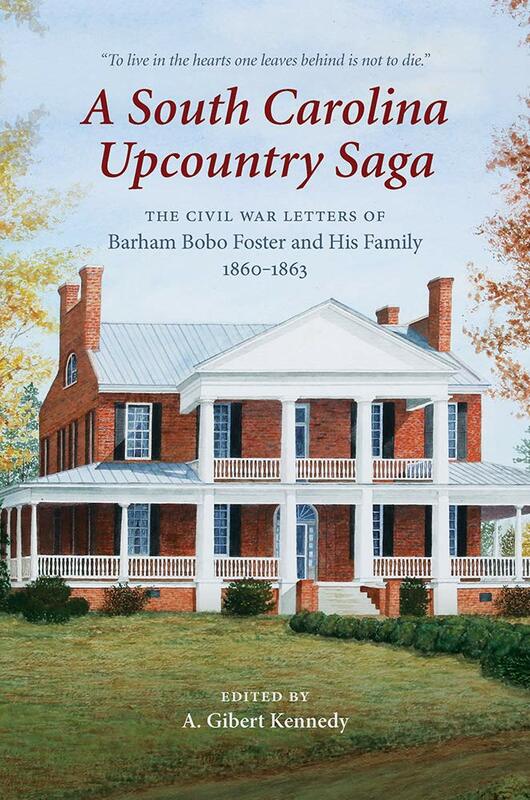 The author describes the challenges faced by volunteer farm boys, shopkeepers, school teachers and lawyers as they faced death, disease and starvation on battlefields and in Confederate prisons." Mustered into the Union Army in late August 1862, the 22nd was almost immediately sent to the aid of Cincinnati, which was assumed at the time to be under threat from Braxton Bragg's Confederate army in Kentucky. After the danger passed, the regiment was posted to garrison duty in the central part of the Bluegrass State before moving on to Tennessee and an extended behind-the-lines stint guarding Nashville and its vital railroad connections. In September 1863, the 22nd joined the Army of the Cumberland in its advance beyond Chattanooga and into North Georgia. Fighting in their first major battle of the war at Chickamauga, the Michiganders materially contributed to the success of General Thomas's famous rear guard action on the 20th. The regiment went on to fight in the Union victory at Chattanooga later that year and on through the 1864 Georgia Campaign. It then spent the balance of the war in various provost roles in Georgia and Tennessee before being mustered out at Nashville in 1865. All of this service history is recounted in the book. At 160 pages with numerous illustrations (but, alas, no maps) sprinkled about, Cohassey's compact study looks like a fairly fast read. But that doesn't necessarily mean that it's light history, and the "select sources" list at the back boasts the kind of extensive source collection that's suggestive of a very serious research effort. by Paul G. Zeller (McFarland, 2019). The first arrival of the new year! One of many distinguished infantry brigades that served in the Army of the Potomac, the First Vermont Brigade was organized during the war's first fall and remained in the field throughout the remainder of the conflict. Composed of the 2nd, 3rd, 4th, 5th, and 6th Vermont, all under the command of Brig. Gen. W.H.T. Brooks, the Vermonters experienced their baptism of fire at Dam #1 on the Virginia Peninsula's Warwick River Line. However, "The Vermont Brigade, sometimes referred to as the "First Vermont Brigade" or the "Old Brigade," fought its first full-brigade engagement in the Seven Days' battles," and it is that major but still relatively understudied early-war campaign period that is the focus of Paul Zeller's The Vermont Brigade in the Seven Days: The Battles and Their Personal Aftermath. More from the description: "Using soldiers' letters, diaries, and service and pension records, this book gives a soldier's-eye-view of the Virginia summer heat, days of marching with very little rest or nourishment, and the fear and exhilaration of combat. Also included are the stories of 29 men that were wounded or killed and how the tragedies affected their families." Brigade organization and the earlier fighting on the Peninsula are discussed in the book, with standalone chapters covering the Vermont Brigade's skirmishes at the Garnett and Golding farms (those engagements have many different names, but the author's preference of Gouldin for the latter is interesting), the Battle of Savage's Station, and the White Oak Swamp defense line. The volume also has some nice full-page maps. It's common knowledge that the city of Knoxville, Tennessee was a point of special interest to both governments on numerous occasions during the war. Under intense political pressure from the opening moments of the conflict, the Union high command struggled to come up with a good plan to occupy East Tennessee and render aid to the region's beleaguered Unionists. The federal military operation that finally did succeed in securing Knoxville and large parts of the surrounding countryside—Ambrose Burnside's 1863 campaign—still has no book-length study (or really any good treatment at all). With no major battles involved in taking Knoxville, it's likely that the absence of those and other kinds of dramatic events have turned away potential authors. The Confederate attempt to retake Knoxville, however, has received some good attention over the years. 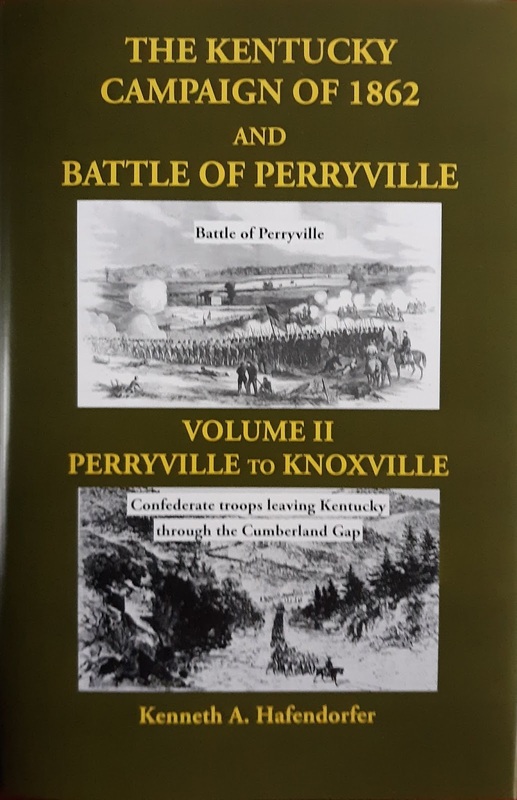 Not too long ago, Earl Hess's The Knoxville Campaign: Burnside and Longstreet in East Tennessee (2012) provided interested readers with the most useful general account of that ultimately unsuccessful operation. Though General Longstreet attempted to force a surrender of the city through quasi-siege operations, a major event that convinced the Confederates that the defenses were too strong to overcome was the spectacularly failed storming of Fort Sanders. 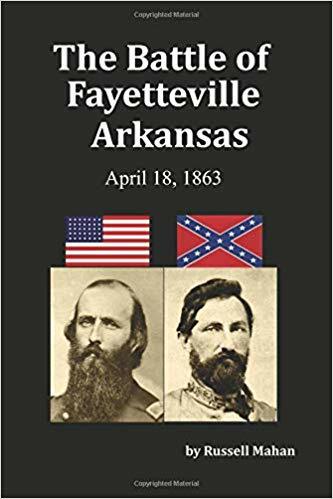 Terry and Charles Faulkner will explore this key component of the Knoxville network of fortifications in their upcoming book Rediscovering Fort Sanders: The American Civil War and Its Impact on Knoxville's Cultural Landscape (UT Press, April 2019). From the description: their study "is a unique book that combines a narrative history of pre-Civil War Knoxville, the war years and continuing construction of Fort Sanders, the failed attempts to preserve the postwar fort, and the events which led to its almost total destruction. Research by Terry and Charles Faulkner resulted in two major discoveries: the fort was actually located a block farther to the west then previously recognized, and there are still identifiable remnants of the fortification where none were believed to exist." The authors employ a multi-disciplinary approach in their investigation. "Methodologically, the Faulkners rely on historical ecology, focusing on extended human interaction with the environment and the resulting changes wrought in the landscape. Thus, they show how the enormous fortification that had thwarted Confederate attackers in 1863 further challenged developers into the next century." 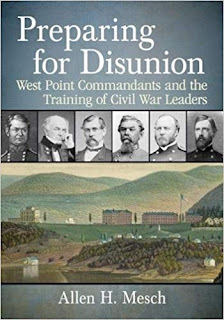 With innovative series titles and standalone works now coming out in steady numbers, University of Tennessee Press has really stepped up their Civil War output over recent catalogs, and I'm looking forward to this one. 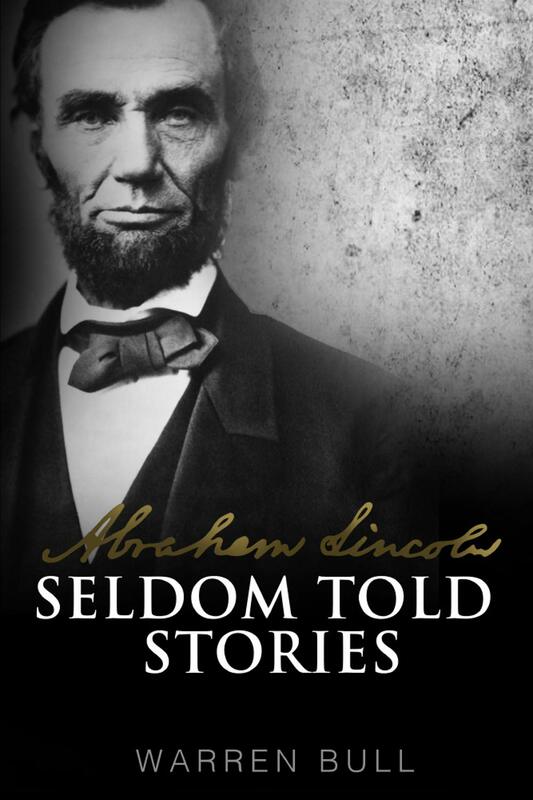 • Abraham Lincoln: Seldom Told Stories by Warren Bull (Next Century Pub, 2018). When it came to holiday arrivals, the Christmas/New Year 2018-19 season was positively scrooge-like in comparison to previous years. As I've mentioned before at various times, release patterns seem to become more feast and famine with each passing year. It wasn't too long ago that I would return after a short end of year break to pleasantly find a giant pile of packages waiting for me, but this time around only a single title arrived between the week before Christmas and now. Anyway, this is it. The last arrival of 2018 (which one will be the first of 2019?) is Warren Bull's Abraham Lincoln: Seldom Told Stories. 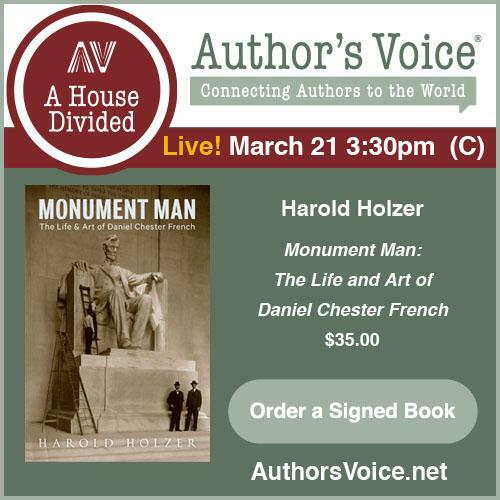 In 38 chapters filling a little over 100 pages of text the book offers a collection of stories and author commentary on a great variety of topics related to Lincoln's character, life, personal relationships, legal career, politics, and presidency. As a soldier, Lincoln started at the rank of captain before becoming a private. When the Republican Party was founded, Lincoln was an unlikely candidate. Lincoln had a "second home" in a barbershop owned by a black man. Lincoln was involved in the largest execution in American history. Lincoln was challenged to a duel that he accepted"
The chapters aren't sourced via notes of any kind, but the author includes at the rear of the book print and online reading lists of materials he used. Though it certainly wasn't always the case, most Civil War readers at this point need little in the way of introduction to Brevet Brigadier General Ezra Carman's Maryland Campaign manuscript. Written using official documents and reports, available publications, and eyewitness accounts (often the product of solicited correspondence with officers from both sides), Carman's now more than century old The Maryland Campaign of September 1862 impressively presaged the modern Civil War campaign history. Carman himself participated in the Maryland Campaign as colonel of the 13th New Jersey (Gordon's Brigade/Williams's Division/Twelfth Corps/Army of the Potomac), but he had extensive personal connections to the Antietam battle during the postwar period as well. In addition to working on the manuscript, Carman served on the Antietam battlefield board and dedicated himself to preserving the military landscape around Sharpsburg. Long valued by scholars and park officials, his long-unpublished archive manuscript finally reached the wider Civil War reading audience it deserved this century with two separate editing projects—Joseph Pierro's The Maryland Campaign of September 1862: Ezra A. Carman's Definitive Study of the Union and Confederate Armies at Antietam (2008) and Tom Clemens's The Maryland Campaign of September 1862 (published in three volumes between 2010 and 2017). Drawing selectively from Carman's campaign history, Brad Butkovich's Visual Antietam series represents a unique attempt to follow Carman's classic text in maps and photographs. With copies and reviews of the Pierro and Clemens editions available in abundance, there remains little point here in repeat discussion of the substance of Carman's text. In his own work, Butkovich avoids overlapping effort on the text side of interpretation. Seeing no need to try to duplicate the already thorough annotation and commentary efforts of Pierro and Clemens, he adds only a handful of his own footnotes in Visual Antietam. 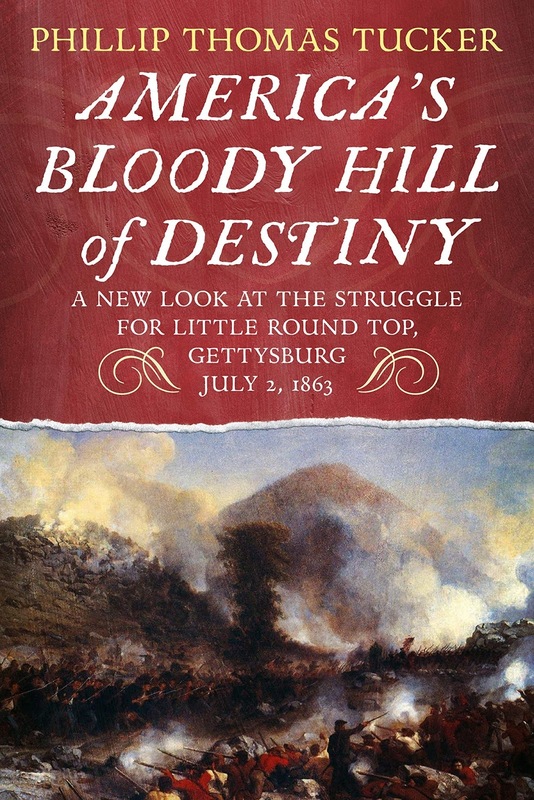 However, it should be mentioned that the earlier publications address the entire campaign manuscript while Butkovich's own treatment (a planned trilogy) focuses only on the Antietam battle. Thus, Butkovich begins his first volume with Carman's chapter 13, skips 14, then proceeds through chapters 15 and 16. Carman's Antietam sections could conceivably fit inside a single volume of reasonable size, but Butkovich quite sensibly (given his hope that readers will take his creations into the field) sees real value in portability. As the full title suggests, it's the visual aids that make Butkovich's edition most noteworthy and valuable to readers of all backgrounds. The 26 maps in Volume 1—all intricately detailed, multi-layered creations by the author—comprehensively cover the fighting that occurred on the northern sector of the Antietam battlefield between the September 16 prelude and the following day's events at Dunker Church. The base map is a topographical representation of the battlefield using elevation contour lines. Overlying this is a full-featured rendering of the natural and built environments (to include roads, trails, buildings, fence lines, trees, crops, orchards, haystacks, and rocky outcroppings). The final map layer traces small-unit military movements and positions at the scale of individual companies, regiments, and artillery batteries. It's an impressive effort. 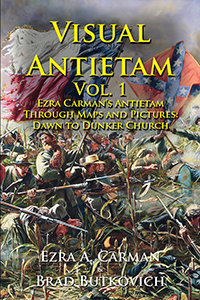 When all three volumes are eventually published, readers will likely possess one of the best Antietam battle atlases available. Every left-facing page of text is accompanied on the right by a full-page photograph or map. The former are either archival images (largely recognizable ones) or the more numerous original photographs. Like the maps the modern Antietam viewshed photos are closely tied to the text, but Butkovich also does something conceptually interesting with these images. 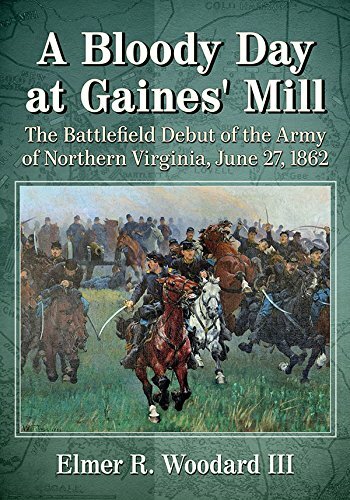 The author employed a skilled photographer to snap images of the battlefield vistas at the same time of day (and also presumably during the same month) that the historical events occurred. Presented in full-page, landscape format (set on end to fit the page dimensions) these well-composed photographs achieve the desired effect. The book also has orders of battle excerpted from Carman's compiled originals. Though more chrome elements would have made the volume much more costly, some wishlist items might be color maps and high-res photography. Color contrast isn't generally essential to creating meaningful cartography, but Butkovich's very densely-detailed maps would have benefited from color's ability to help the eye more readily distinguish between constituent features (in particular, units on top of busy terrain) at a glance*. It's understandable that Antietam students might question the need for yet another published version of the Carman manuscript, but the quality and usefulness of the original maps and photographs present in Butkovich's abbreviated edition along with the skillful manner by which both are closely wedded to the text mark Visual Antietam as a valuable work that stands tall on its own. Though a more difficult proposition given the lack of ready-made narrative, it would also be interesting to see this same general approach applied to less familiar battles. * - I am only reviewing the paperback version, but it should be mentioned that the digital (Kindle) edition does have color maps.